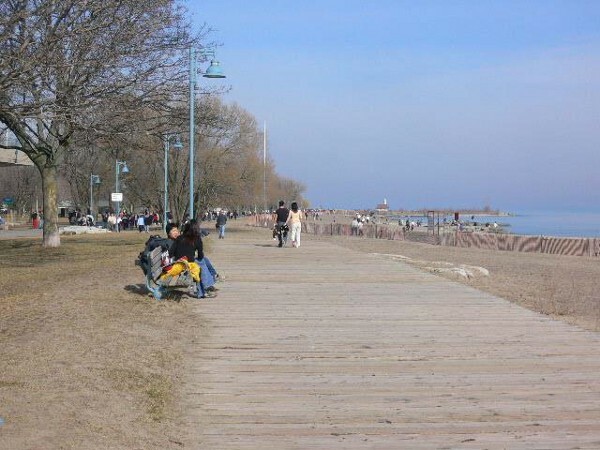 The Beaches are a fun residential community near the water about 3 miles east of downtown. There are some good running options here. There are some good distances, so rather than describing a particular route, here are some distances and options. 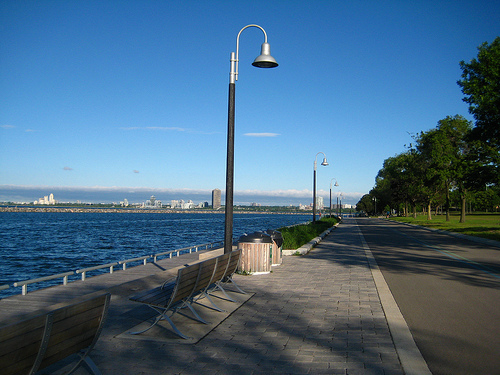 A good 5-mile loop is combining Woodbine Beach Boardwalk loop and Martin Goodman Trail to end of Beaches and back. It’s a nice run out to the lighthouse along the Spit. 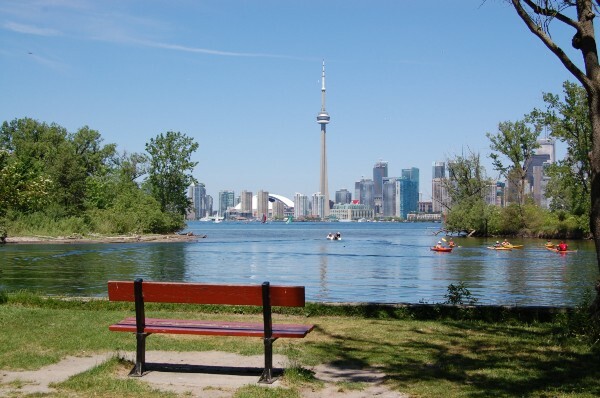 Note that the running in this area is open with great views but is also exposed — to wind and cold in the winter, and sun in the summer. 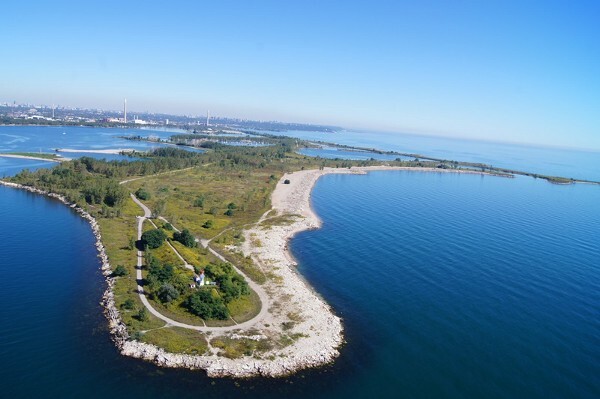 Woodbine Beach, stretching nearly 2 miles, is the most popular beach in Toronto and probably the best for swimming.